When will be Tu mourras moins bête next episode air date? Is Tu mourras moins bête renewed or cancelled? Where to countdown Tu mourras moins bête air dates? Is Tu mourras moins bête worth watching? 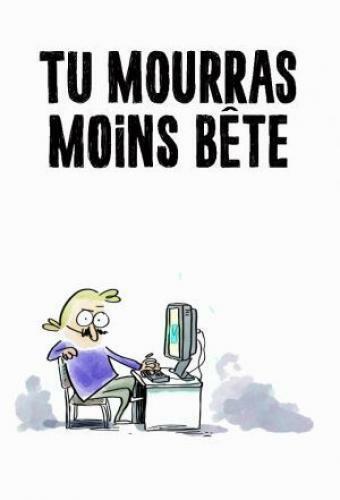 Tu mourras moins bête (You Will Die Less Stupid) is the adaptation of the famous comic blog of scientific popularization of Marion Montaigne. In this series Professor Mustache and his assistant Nathanaël demystify science in cinema and everyday life. If you've always dreamed of wielding the lightsaber or shrinking your kids, Professor Mustache and his team are there for you! Tu mourras moins bête next episode air date provides TVMaze for you. EpisoDate.com is your TV show guide to Countdown Tu mourras moins bête Episode Air Dates and to stay in touch with Tu mourras moins bête next episode Air Date and your others favorite TV Shows. Add the shows you like to a "Watchlist" and let the site take it from there.